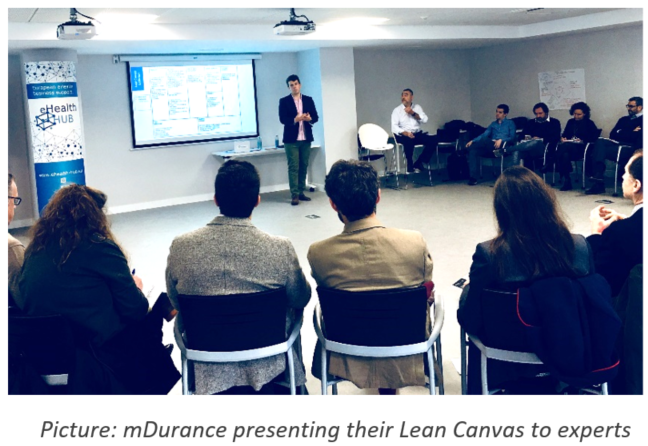 The III Lean Startup Academy took place on 12-14 March 2018 in Madrid to bring the Lean Startup Approach to eleven digital health projects. The three-days training included a first approach to the methodology, a later application of the general concepts to each company case and a final presentation of the projects to 11 eHealth experts. To top it up, companies were also given the opportunity to attend Inforsalud, an annual event attended by healthcare decision makers together with IT companies. The first day of training, led by META Group, consisted of a deep dive into the Lean Startup approach with a huge focus on customer development and customer validation. Entrepreneurs had the opportunity to formulate their initial hypothesis with the trainers’ help, making use of well-known tools such as the Lean Canvas and Javellin Board. The companies that have just started their journey in this ground-breaking methodology were Biodata Devices, Biwel, i4life, mDurance, Medlia Network Solutions, Meed, Mejo Digital Health, ReHand, Salutic Soluciones, Simplexity bit, healththehealth. Their highly innovative projects were varied and included, among others, rehabilitation, diabetes, telemedicine and remote assistance solutions. On Tuesday 13th March ehealth Hub received an outstanding panel of experts with background in investment, pharmaceutical companies, healthcare organisations and innovation. The Committee provided SMEs with rich and varied comments on how to improve their canvas and how to proceed with validation. After an exciting series of pitches and a lively Q&A round, SMEs and experts were able to engage in bilateral discussions and network. Finally, on Wednesday companies made the most of Inforsalud and started validating their hypothesis with key stakeholders. This was just the beginning of the upcoming 10 weeks when they will have to conduct an ambitious number of interviews to test their assumption against the market. eHealth Hub trainers will support them through the process by giving feedback weekly on their improvements and advances. 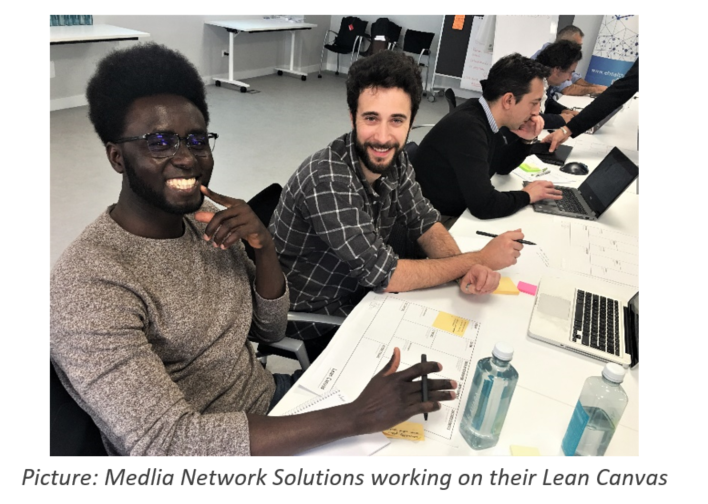 The next Lean Startup Academy will take place in the second quarter of 2018 and will be announced shortly via our project website and social media channels.